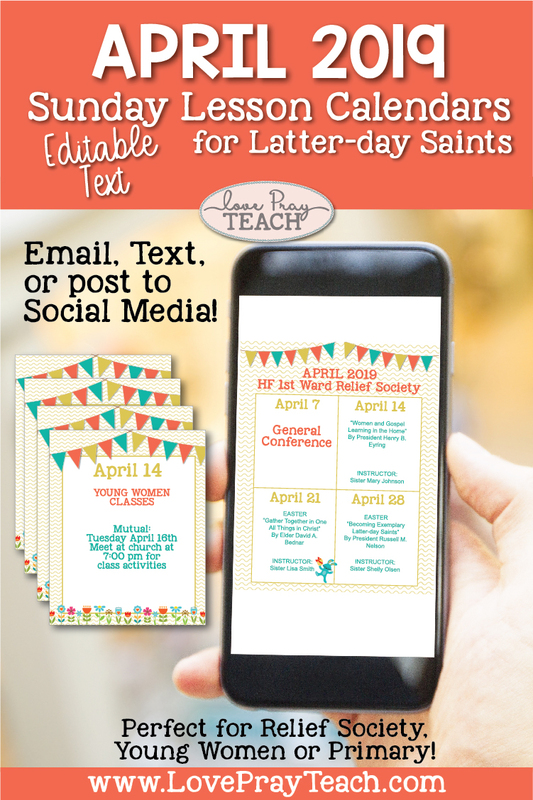 Are you looking for a way to keep your Ward informed of upcoming lessons and reading schedule? Use our editable Newsletter and Sunday Calendars to help! The newsletter can be printed or posted in an email. 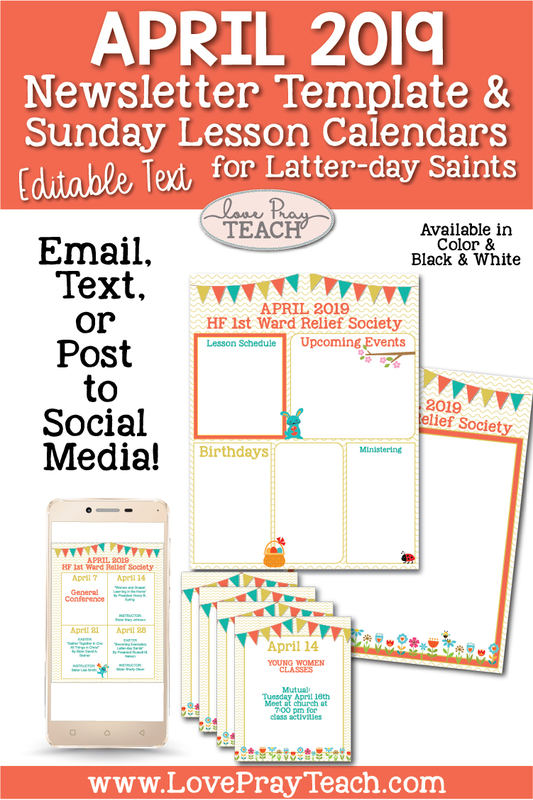 The Sunday Calendars are sized for embedding in an email, posting to social media, or sending in a text! 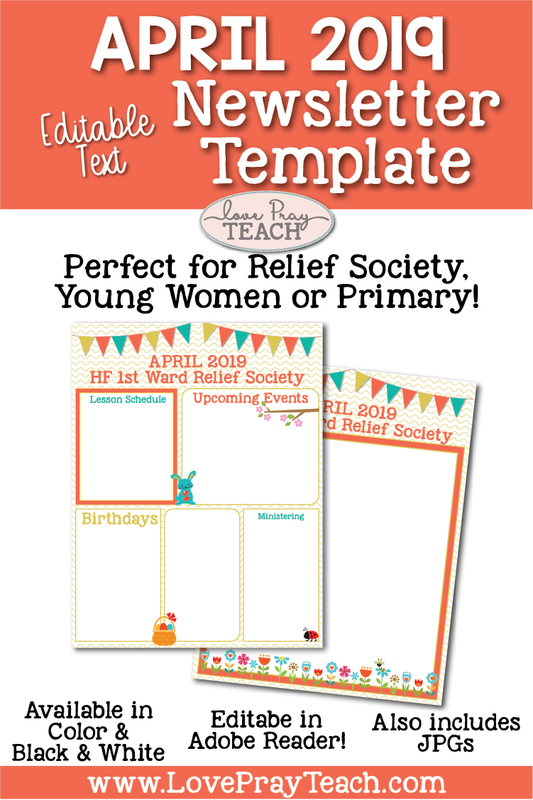 These are perfect for Relief Society, Young Women, Primary, or for the whole Ward! The first editable calendar has spots for each of the weeks of the month.There is room to add the topic for the week along with the instructor. Send this before the beginning of the month and encourage your class to refer to it all month long! The second option is an individual file that you can add dates and information and use for each Sunday of the month. There is plenty of room to add the lesson to the top, instructor, and any announcements you need to add. We have sized these calendars to fit perfectly in a social media post like Instagram and/or Facebook! You could also text the calendar to each of your sisters. This is such an easy way to keep everyone informed of what to expect each Sunday! Encourage the women to save the calendar to their phones so they can refer to it throughout the month. We will be designing a new Newsletter template and Sunday Schedule Calendars for each month! These are included with our Relief Society and Young Women Membership!